Antari X-30 Wireless Control Module DJParts - All Variety of Parts that DJ Needs. Boasting all the features of the X-10, the X-30 Wireless Control Module, as its name suggests, adds the wireless operation capability to your X-Series. 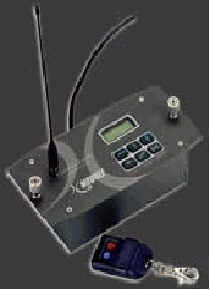 The X-30 delivers radio frequency technology you can depends on giving you the flexibility you expect from wireless technology, and the reliability you expect from Antari. Thanks to the ability of changing R.F. address from 0 to 8, you can have control of up to 9 groups of any combination you desired simultaneously, or separately. Whenever you find deploying fog machines troublesome, check out our X-30 and enjoy being wireless.